He certainly does not act his age and is still very full of life! He loves his food and this will be a great training tool for him, as this old dog is very keen to learn new tricks! Could you help give Hoopes a new home or know someone who is looking for a gentle and calm dog? 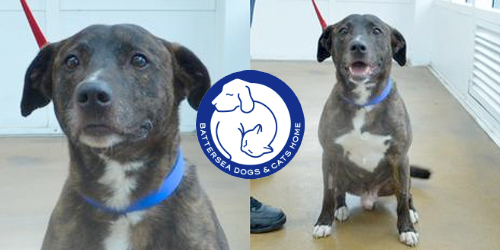 If so, Battersea Dogs & cats Home would like to hear from you. You can find out more information about Hoops and the rescue centre here.